Let’s be honest, the highlight of traveling for the majority of people is…. the food!!!! The guilt-free indulgence of new and exciting things is definitely one of the biggest enjoyments of a vacation. Whether that vacation is 4 hours down the road in a nearby city with an abundance of restaurant choices (a big deal for those of us who live in the land of one gas station towns), or to an exotic country where you can’t even pronounce your desert, food is a very important and exciting part of travel. For me, I ABSOLUTELY love trying new foods and think of it as a grand adventure. 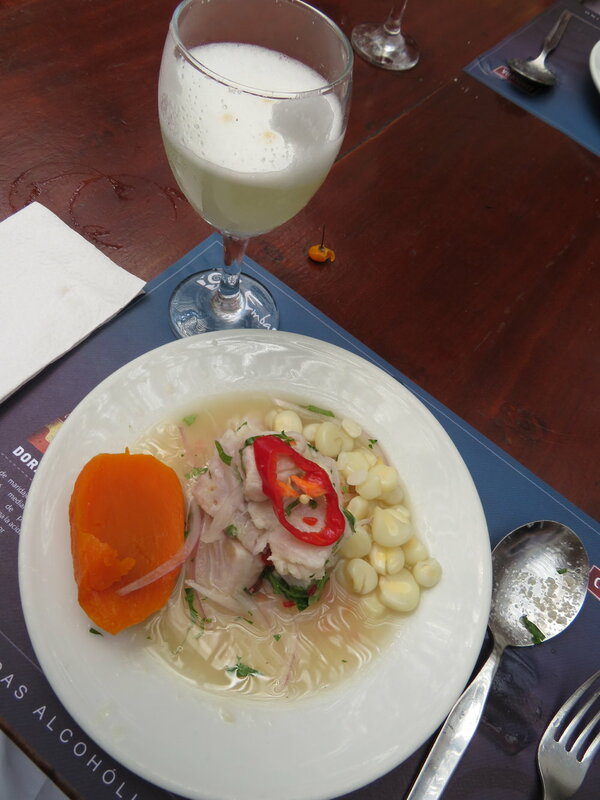 So, I was thrilled to find out that my one of my latest travel destinations, Lima, Peru, is the gastronomy (that’s a fancy word for all things wonderful about food) capital of the world at the moment. Lima, afterall, is the ONLY city in the world with 2 of the top 10 world restaurants located in their city. One of those restaurants, Central, has been voted the #1 restaurant in all of South America and is #5 in the whole world! 1.) Take a food tour! We did a tour with The Lima Gourment Company, which was a bit more spendy then some of the others I saw but WORTH.EVERY.CENT. It is owned by a Lima native and his American wife, and his sister, Sylva, was our tour guide. She has lived in Lima her whole life, speaks fluent and easy-to-understand English, and spent 5 hours taking us around Miraflores and Barranco (the artistic, trendy neighborhoods of Lima). We made our pisco sours, visited fruit markets, got taught how to make ceviche by a chef, and dined in front of ancient ruins. It made for an incredible afternoon, and we learned so much about the history and culture of Peru, as well as the feasted like kings and queens. Doesn't get much fresher than this! 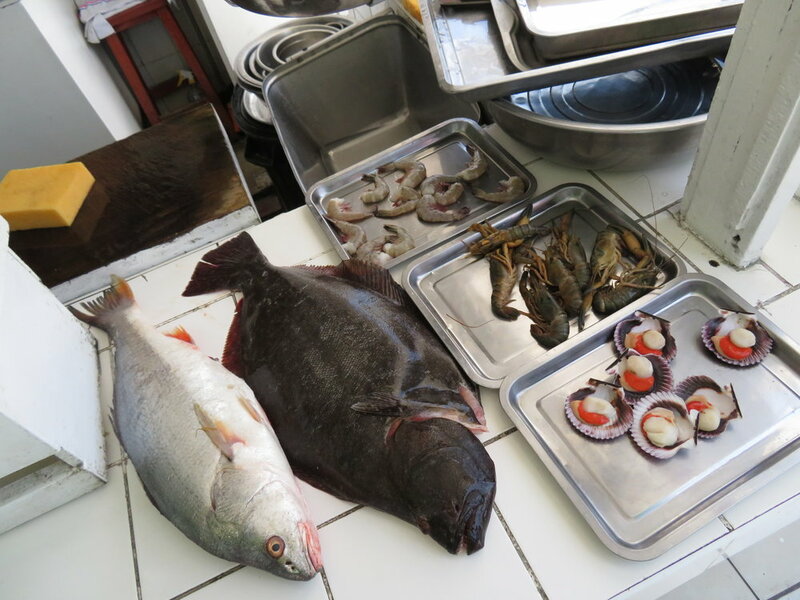 ...from pisco sours to ceviche. Clearly, if you book far enough and advance and have enough spare change, you will want to try one of the best restaurants in the world that is in Lima, such as Central or Astrid and Gastron. But, if you are like us, you want to maximize your dollar, and you didn’t think far enough in advance to make reservations at these world famous locations. Do not fret. 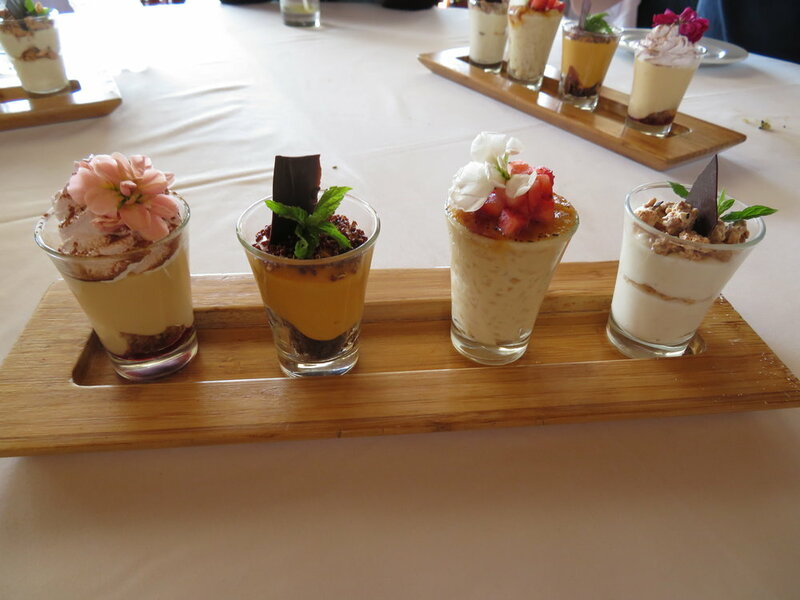 Lima has more than enough fabulous restaurants to fatten you up. Our favorite meal the whole time we were in Peru happened to be a small, locals-favorite, very reasonable place called Isolina. 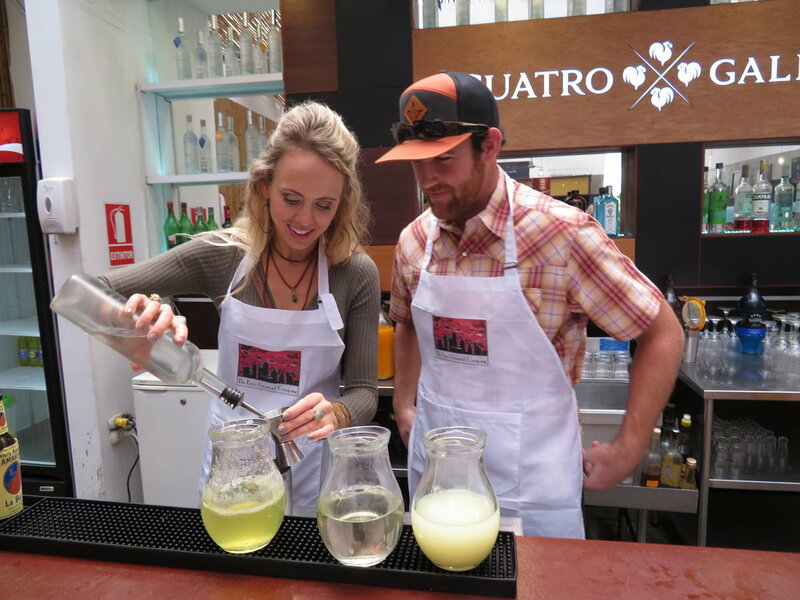 We enjoyed pisco sours while we waited (no reservations here… you are best to go around 12:00 or 12:30 before the lunch rush hits), and feasted on incredible beef dishes such as osso bucco and lomo saltado. 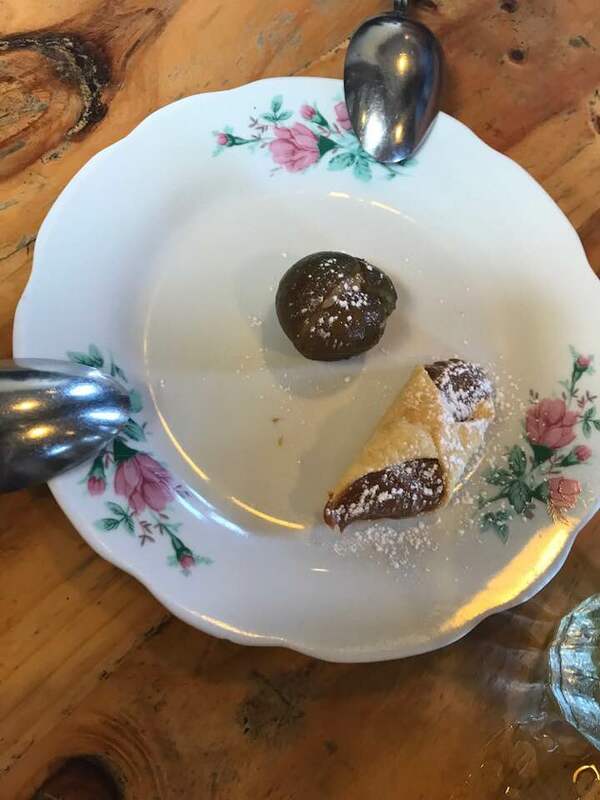 Hint: order the “meta” plate. It’s half the regular order, and two half regular orders were more than enough for the two of us (complimented with some mussels to start of the course). Dessert: candied lime peel (edible!) filled with homemade dulce de leche--uhhhhh... yum!!!!!! All that food will make you want to get out and do something, and fortunately for you, the Barranco neighborhood is safe and extremely beautiful. Too often we rush ourselves to and from things, and strolling through Barranco underneath the warm Peruvian sun, surrounded by laughing children and dogs in sweaters, will force you to slow down and enjoy the small things of life. Everywhere you turn there are fruit popsicle stands, and much to my delight, ladies selling delicious dulce de leche filled churros. You can even paraglide over the city if your adventurous side is calling. Don’t force yourself to get to every place in Lima (the traffic is simply too much), but instead sit down, watch the sunset over the Pacific, and be reminded of how wonderful this world is.